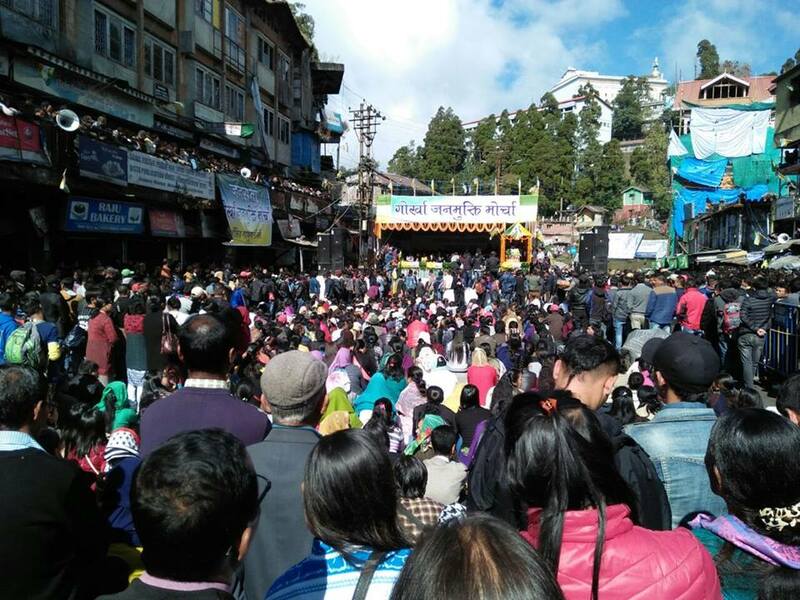 A school in West Bengal allegedly distributed maps during a Geography exam that showed parts of Kashmir in Pakistan, and parts of Arunachal Pradesh in China respectively. Soon after the error was discovered, the Bharatiya Janata Party lambasted the Trinamool Congress (TMC). Banerjee went on to say that the map’s watermark shows ‘WBBSC’ – an acronym for the West Bengal Board of Secondary Education. 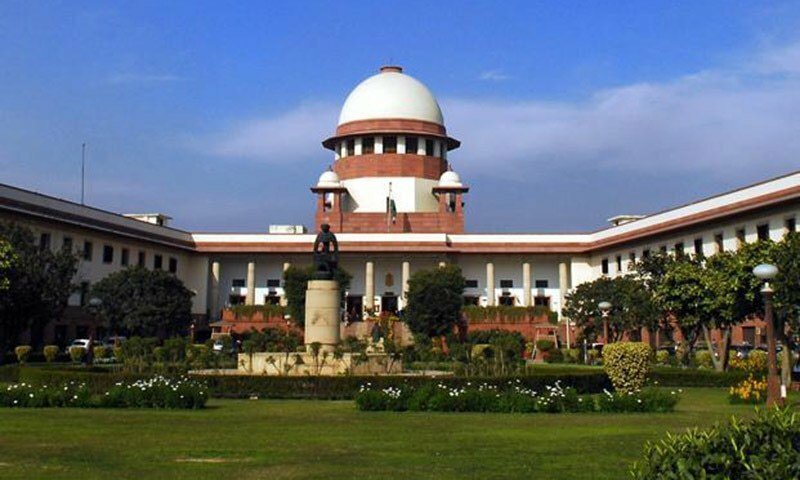 He alleged that maps distributed in Geography paper of class X board Madhyamik Test examination 2017 showed portions of Kashmir as part of Pakistan and a portion of Arunachal as part of China. “Our question to the present government is whether they agree to what Pakistan and China, claims about these Indian territories,” asked Banerjee. “It seems as if the whole TMC government supports the terrorists who come here. We are seeing this issue very seriously,” he said. 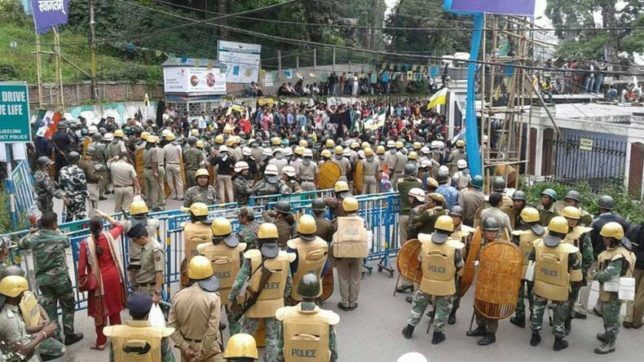 The BJP leader said he will write to the Ministry of Human Resource Development to take action against the error. “All this happening in the state is not in the interest of the nation. We will take a legal step and will also protest. BJP will not spare this matter,” he added. Sinha also demanded clarification from the state Chief Minister Mamata Banerjee. “These people have no values for all those lives which have been sacrificed because of the protest against Pakistan and China vis-a-vis Kashmir and Arunachal Pradesh respectively. I am sure there is some conspiracy or crime behind this. This issue should be investigated and also the CM should release a statement,” Sinha added. 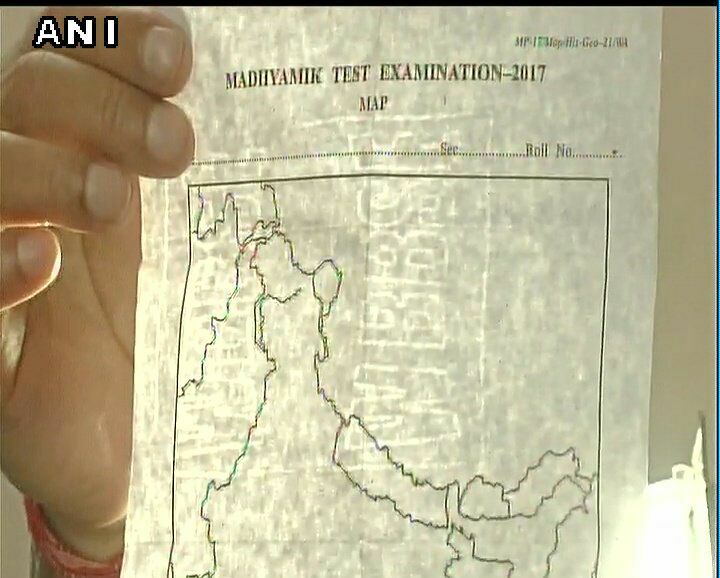 Be the first to comment on "WB School Allegedly Distributes Maps in Exam That Show Parts of Kashmir in Pakistan"